A Swiss holiday can be made more special when you take the stunning Bernina Express that takes you on a picturesque journey. Did you know that there are only three trains that have the UNESCO World Heritage Site status? Well one of them happens to be the Himalaya Mountain Railway to Darjeeling, Austrian Semmeringbahn Railway and the Rhaetian Railway in the Albula/Bernina landscapes in Switzerland. 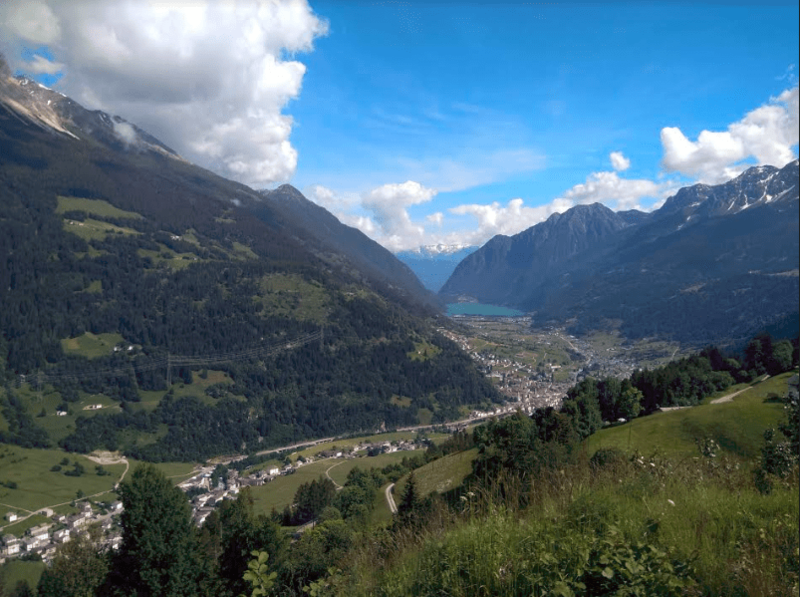 The Albula Line from Thusis to St. Moritz and the Bernina Line from St. Moritz to Tirano makes the 122 km track that takes you through jaw dropping landscapes and stunning natural vistas that will add a new dimension to your visit to Switzerland. With its stunning natural landscapes, there is much to see and explore in Switzerland and a great way to see some unique sights is to hop on to the Bernina Express which has large windows that make the journey as exciting as the destination. Incidentally the UNESCO citation is for the rail line and also the countryside through which it passes. The best part is that the train line itself is over a century old and the civil engineering and architectural construction has bene done in a way that it hardly interferes with the stunning natural landscapes here. The Bernina line passes over 52 bridges and through 13 tunnels and cuttings. 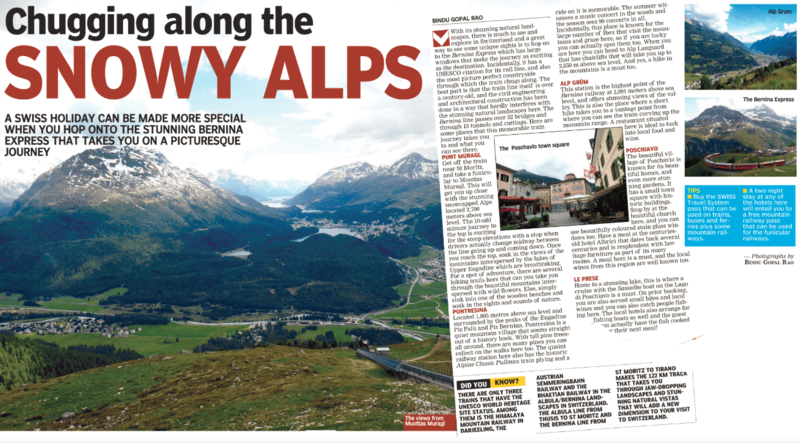 Here are some places that this memorable train journey takes you to and what you can see there. 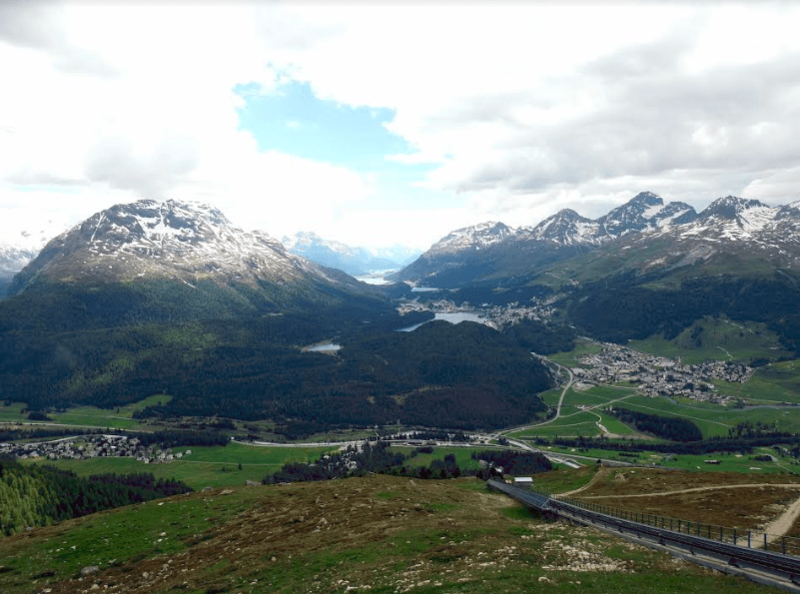 Getting off the train near St. Moritz and taking a funicular to Muottas Muragl will get you up close with the stunning snowcapped Alps located 2700 meters above sea level. The 10 odd minute journey to the top is exciting for the steep elevations and a stop when drivers actually change midway between the line going up and coming down. Once you reach the top, soak in the views of the mountains interspersed by the lakes of Upper Engadine which are breathtaking. For a spot of adventure there are several hiking trails here that can you take you through beautiful mountains interspersed with wild flowers. Else, simply sink into one of the wooden benches and soak in the sights and sounds of nature. 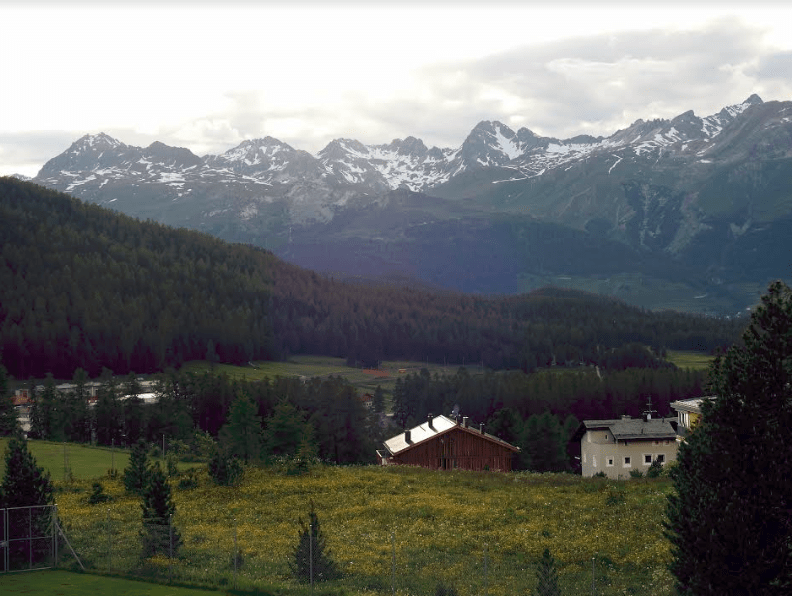 Located 1805 metres above sea level and surrounded by the peaks of the Engadine Piz Palü and Piz Bernina, Pontresina is a quiet mountain village that seems straight out of a history book. With tall pine trees all around, there are many pines you can collect on the walks here too. The quaint railway station here also has historic Alpine Classic Pullman train plying and a ride on it is memorable. The summer witnesses a music concert in the woods and the season sees 99 in all. Incidentally, this place is known for the large number of Ibex that visit the mountains and graze here so if you are lucky you can actually spot them too. When you are here you can head to Alp Languard that has chairlifts that will take up to 2550 m above sea level. And yes a hike in the mountains is a must too. This station is the highest point of the Bernina railway at 2091 meters above sea level and offers stunning views of the valley. This is also the place where a short hike takes you to a vantage point from where you can see the train curving up the mountain range. A restaurant situated here is ideal to tuck in local food and wine. 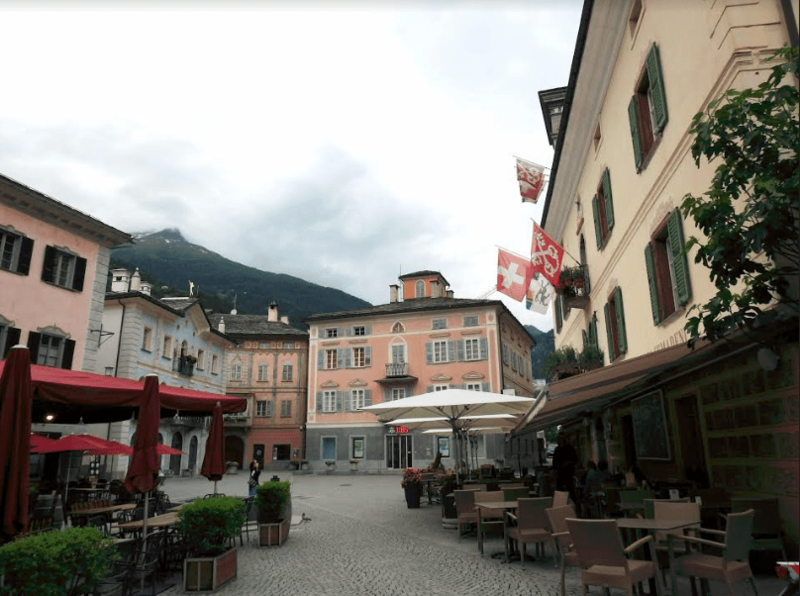 The beautiful village of Poschavio is known for beautiful homes and even more stunning gardens and has a small town square with historic buildings. Stop by at the beautiful Church here and you can see beautifully coloured stain glass windows too. Have a meal at the centuries-old hotel Albrici that dates back several centuries and has heritage furniture as part of its rooms. A meal here is a must and the local wines from this region are well known too. 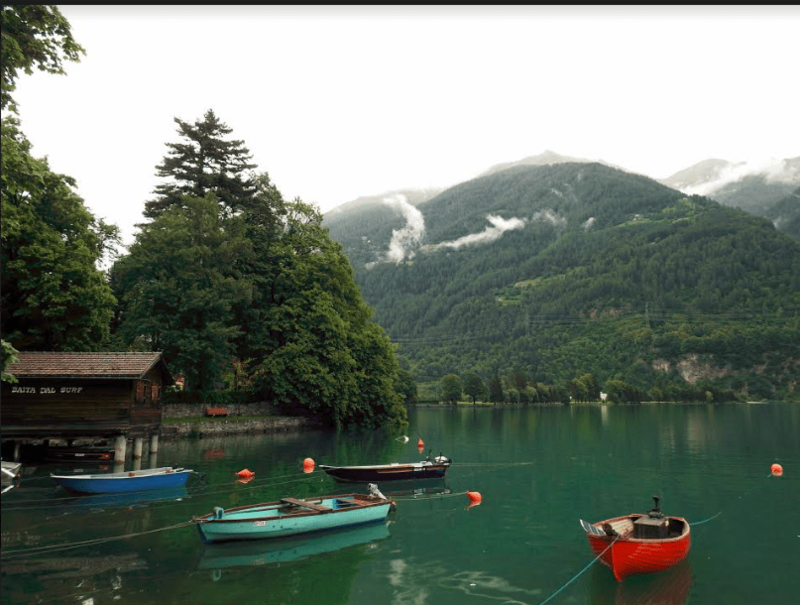 Home to a stunning lake, this is where a cruise with the Sassalbo boat on the Lago di Poschiavo is a must. On prior booking you are also served small bites and local wines and you can also see people fishing here. The hotels here arrange for fishing boats as well and the guest can actually have the fish cooked for their next meal. • Buy the SWISS Travel System pass that can be used on trains, buses and ferries plus some mountain railways. • A two night stay at any of the hotels here will entail you to a free mountain railway pass that can be used for the funicular railways.